Plan to continue to study in Canada? If you have a Masters or Phd degree you may qualify to migrate to Canada through the Ontario Graduate Stream. Those who successful applied can receive a provincial nomination certificate. Ontario. The Ontario Immigrant Nominee Program (OINP), has resumed accepting applications to the International Masters Graduate and International Ph.D. Graduate streams. Effectively, this is the second time in 2017 that the two streams have reopened to receive new applications. Both streams are popular with international graduates and offer a route to Canadian permanent residence for eligible individuals. The OINP previously received applications to these two streams in late February 2017. Both streams reached their intake allocations limit in a matter of days. That intake period marked the first time an online application system was used to receive applications, and this online system will remain in use for this current intake period. The Ministry had previously stated that the International Masters Graduate and International Ph.D. Graduate streams would open and close intermittently throughout 2017, to meet the limits of the federal nomination allocation for the province. The International Masters Graduate and International Ph.D. Graduate Streams are not aligned with the Express Entry system, though successful applicants receive a ‘base’ provincial nomination certificate, after which they may then need to apply to the federal government for permanent residence. Candidates who meet the eligibility criteria for one of these two streams may now submit an application through a new online system. It is important to note that, candidates for both programs must intend to live and work in Ontario, and must submit their application within two years of receiving their degree. Crucially, a job offer is not required for either of these streams. The International Ph.D. Graduate stream targets individuals who have graduated from a Ph.D. (Doctoral) level program at an Ontario university and studied in Ontario for at least two years of their degree. Candidates who have graduated from a Masters-level program of at least one year in length in Ontario may apply to the International Masters Graduate Stream. 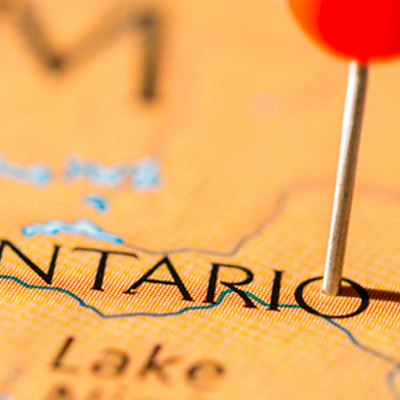 Click here, for more latest news from Ontario.